A “Class of 1971” inductee, Edward “Mickey” Murray has the best all-time goals against average (2.01) in Reds history for any goalie appearing in over 100 games. He is also tied for first all-time in shutouts with 23. Murray holds the Reds’ single-season records for GAA (1.37) and shutouts (12), both in 1928. 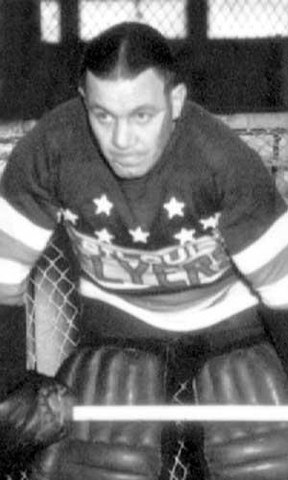 In four campaigns with Providence from 1927 to 1931, the goaltender amassed a 70-44-26 record in 140 games. In the 1928-29 season, he was called up to the Montreal Canadiens to play his one and only game in the NHL.